Yoga, Spirituality and Sustainability. These are the three pillars our nomadic life rests upon. Add to that a wild mix of traveling, vegan/vegetarian food and positive thinking and you get us: Katja and Paul, traveling Yoga teachers, on our quest to spread light, laughter and love for the world. Feel free to write us a message or check out the different classes we offer and the philosophy behind them. 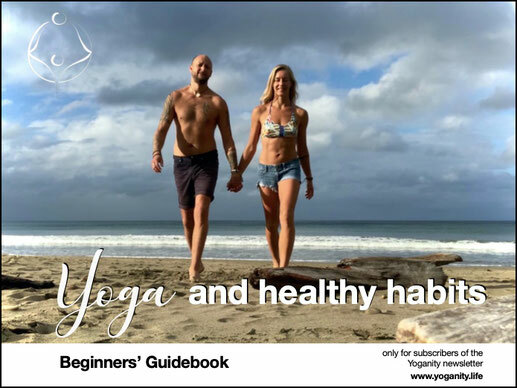 Yoganity (consisting of "Yoga" and "Humanity") - Yoga, People, Earth - describes a new kind of humans that understand themselves as holistic, natural, tuned in, aware and informed. It also stands for the believe that a positive life is possible for everyone - and everyone has a right to it. The philosophy of Yoganity (positive life for everyone) flows straight into what we are doing and why: Yoga opens us up to healthy and happy days, spirituality connects us to who we really are and to each other, sustainability ensures that we do not steal what does not belong to us. Be a part of the positive movement!